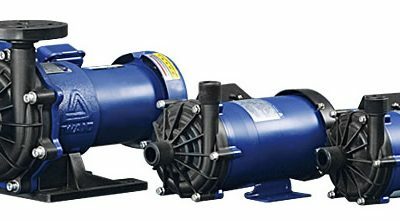 The MX series, the first series to benefit from this latest innovation (international patent), comes in 10 models with flow rates up to 852 liters / minute and pressures up to 38 meters from Liquid Column. 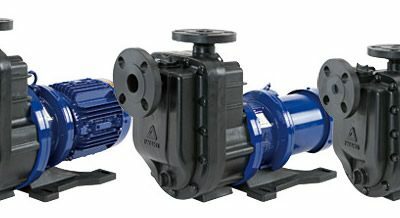 The magnetic pumps in this series benefit from a new radial flow structure developed by IWAKI Co (international patent), which in conjunction with the principle of “contactless” and axle holding at the front and The rear, improves the life of the pump. 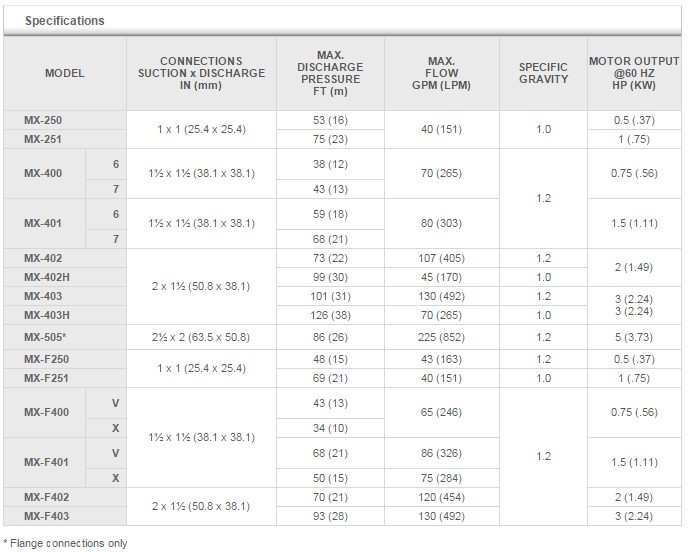 These technical innovations make it possible to resist abnormal operations such as cavitation and closed valve operation at discharge. 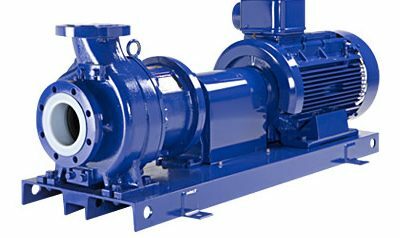 The principle of the radial circulation of the magnetic pump offers a better circulation of the liquid around the shaft and the bearing thanks to the orifices located on the turbine and on the magnetic capsule which reduce the heat resulting from the friction of these elements. As a result, thermal deformation or melting is avoided. This other innovation, developed by IWAKI Co (international patent), is based on the division of the body (or volute) into 2 parts (a front body and a rear body) forming a conical tangential chamber which guides the fluid towards the orifice of Refoulement. 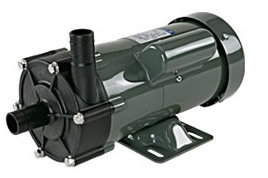 This improves performance by minimizing leakage inside the volute. 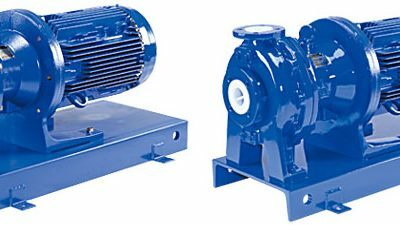 Furthermore, all stressed parts of the magnetic pump (front and rear bodies, for example) are reinforced by ribs in order to improve their resistance to pressure and their mechanical strength.